Axis Store Optimization Suite includes a series of business intelligence video analytics that run fully embedded on Axis network cameras. There’s no need for additional hardware or servers, which minimizes installation time and costs. 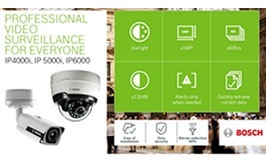 State-of-the-art built-in video analytics in the all new Bosch IP 4000i, 5000i and 6000 cameras deliver ultimate high-resolution images. 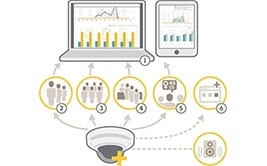 These can enable new applications beyond mere surveillance, offering real business benefits. Significant growth in multi-tenant data centres (MTDCs) has led CommScope to form the Multi-Tenant Data Centre Alliance as part of it's PartnerPRO™ Network, offering members optimal network infrastructure solutions for customers looking to take advantage of the range of technology available. In the multi-tenant data center (MTDC), there are thousands of potential points of attachment for test instruments. 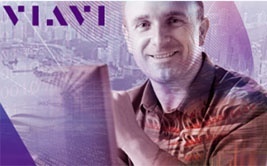 In this exhaustive Data Center Case Study and Test Guide from Viavi you can find a list of the key test use cases for data center operators and the Viavi solution for each of them. 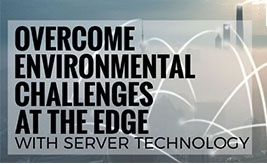 Learn why changing environmental conditions are one of the critical logistical issues which need to be considered in order to experience a successful Edge computing deployment, with the latest Whitepaper from Server Technology. 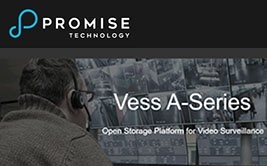 Promise Technology has announced that its Vess A-Series Network Video Recorders (NVRs) are certified for use with Bosch Video Management System software. The BVMS is a unique enterprise IP video security solution. The SISPM1040-362-LRT (Anixter Code 912060) and The SISPM1040-384-LRT-C (Anixter Code 912056) are fully managed PoE+ switches suitable for connecting and powering devices in hardened environments, such as those found on factory floors, outdoor enclosures or other challenging applications. Corning modular LANscape® Panel Solutions are designed to fulfill all connectivity needs in any enterprise cabling installation within a 19” rack. . The Construction Products Regulations (CPR) came into effect on July 1st, with the aim of standardising the rules for the marketing of construction products in the EU. This comprehensive document from Panduit outlines what the regulations mean and plus to know that the product is compliant with the regulations. 100G increases bandwidth, minimises aggregation and significantly improves overall efficiency? The bandwidth explosion of our constantly connected society is forcing companies to continue to grow in scale, and 100G offers the bandwidth speeds and efficiency necessary to support this growing demand. To get familiar with AccelTex Wi-Fi antennas, we are offering the first 20 customers a FREE AccelTex antenna. Register now. Fluke Networks is bringing increased productivity and enhanced ROI to small cable installation jobs with the addition of the DSX-600 CableAnalyzer - an affordably priced entry-level copper certifier.